The prion disease that causes "zombie deer" is spreading to more states. Is there such a thing as “zombie deer?” The answer is yes, and they may be your newest neighbors. Since the first report of “zombie deer” about 50 years ago, sightings of the deer have spread to several parts of the United States, mostly because the cause of the disease has spread as well. “Zombie deer,” of course, have more to do with a fatal disease than with any kind of zombie flick. What is ‘zombie deer’ disease? “Zombie deer” disease, also known as chronic wasting disease, is a type of prion disease that affects deer, elk, and moose. Prions are small, abnormal, infectious proteins that cause proteins in the body to fold abnormally, especially in the brain and spinal cord. The disease gets more serious as it progresses, and it is always fatal. “A lot of the concern [about chronic wasting disease] is based on something that occurred years ago,” Ryan Maddox, Ph.D., epidemiologist at the Centers for Disease Control and Prevention, told ABC News. Maddox was referring to fears from another prion disease, “mad cow,” which was first found in England, where it spread to humans as the rare variant Creutzfeldt-Jakob disease. 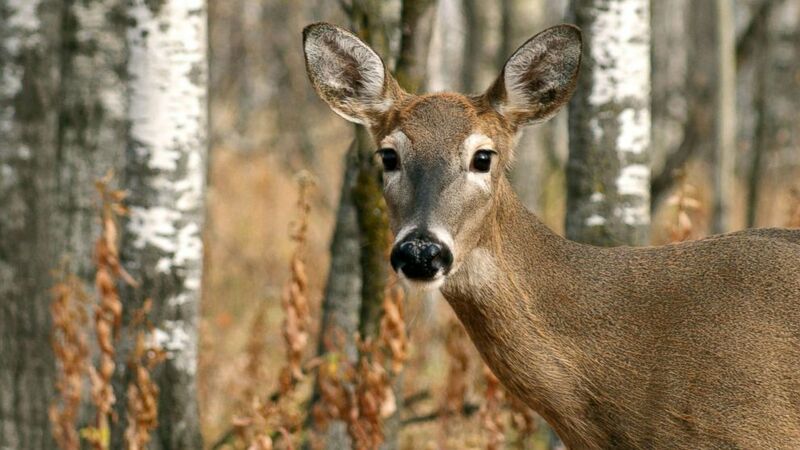 “Mad cow” disease is not what is affecting the deer. Where can chronic wasting disease be found? According to the CDC, this disease is present in at least 24 states in the United States and two provinces in Canada. Cases have also been reported in Norway, Finland and South Korea. Chronic wasting disease was first reported in Colorado in the late 1960s. Since then, the disease has spread to involve states in the Midwest, Southeast and east coast. There may be even more cases that we do not yet know about. How is chronic wasting disease spread and how common is it? Chronic wasting disease is spread between animals through direct contact with contaminated body tissue or fluids (blood, saliva, urine or feces), or through indirect contact with infected soil, water or food. Once introduced to an area, this disease can spread quickly among animals. Even after an infected animal dies, the risk of it spreading to other animals can last a long time. Although the overall rate of infection in deer, elk and moose across the country is low, infection rates may be as high as 10 to 25 percent in places where it is common. What are signs of chronic wasting disease? Animals with chronic wasting disease may not show it for several months to years. But slowly, signs of the disease may develop, including dramatic weight loss, impaired coordination, stumbling, drooling, excessive thirst or urination and aggression. Infected animals may also display a lack of fear of people and may be more out in the open, making them more susceptible to hunting. According to the CDC, there is no evidence that chronic wasting disease occurs in humans or that humans can even get infected. Current studies have also shown no evidence to support the possibility of it spreading to humans. However, one experiment showed that this disease can affect macaques, monkeys that have close genetic similarities to humans. “There is concern about the potential for the disease to transmit to humans” said Maddox. If the disease were able to spread to people, the most likely way would be through eating infected deer or elk, and many people eat these animals. In areas where the disease is common, the CDC recommends that hunters strongly consider testing the animals before eating their meat and/or checking with local wildlife or public health departments regarding their testing policies. If animal tests positive, meat from that animal should not be eaten. Again, the disease, while deadly for animals, has not been known to infect humans. Regardless, proper precautions should be taken in areas where this disease is common.